You do not have to subscribe to a monthly plan to export individual designs from Paddee. 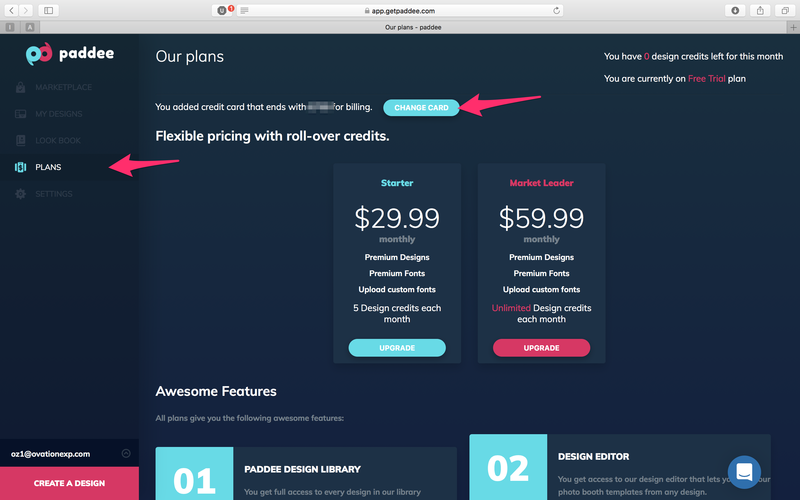 You can do pay-per-design for $14.99 per template without being subscribed. Go to the PLANS section of your Paddee account and click ADD or CHANGE CARD to enter/update your payment information.